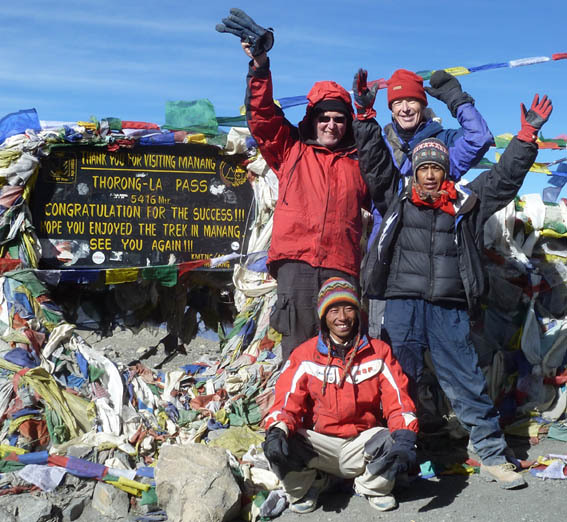 This is Grant and Johnny at the highest point we reached at the summit of Thorung La Pass at 5416 metres or 17,769 feet with our guide Arjun (standing) and our porter Rajendra (seated). This is 1200 metres higher than the top of Mont Blanc, and we had no problems with altitude sickness, fatigue or soreness. A triumph!!! Start your tour with us on our first day in Patan (the city across the river from Kathmandu). 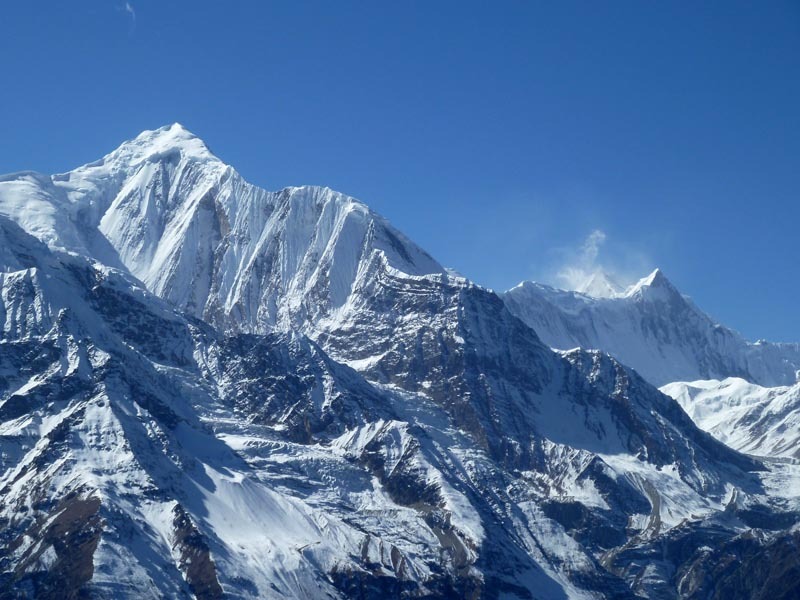 This was the fabulous view from Kang-La Pass (5,100m or about 17,000 ft) above Ngawal of Gangapurna Himal on the left and Annapurna 1 (with the snow blowing off the top) on the right.